The humid weather and soaring temperature playing a spoilt sport with your mood? Then it’s time for you to hit the pool. Take a plunge, soak yourself in water or just relax with a drink. Believe you me, it works like magic on your body and mind and you come out feeling all fresh and rejuvenated. But for those of you who have inhibitions regarding swimming with respect to hair and skin, it’s time to shed them coz we’ve got you some fabulous hair and skin care tips to be used before and after swimming. It is common knowledge that chlorine is commonly used in swimming pools as a disinfectant to keep bacteria and algae at bay and make water safe for swimming. But this same chlorine can wreck a havoc on your skin and hair. But there are certain pre and post swimming tricks and tips that can help us with damage control. Let’s take a look at them. Moisturize your skin with a body lotion before you jump into the pool to keep your skin hydrated. Follow this up with a generous dose of SPF especially if you’re swimming outdoors in the sun. Do make sure you’re using a waterproof sunblock. Always make sure you take a quick shower before you dive into the pool. This helps your skin retain moisture and keeps it from drying out. Another tip would be to go for a leave-in conditioner to provide that extra bit of protection to your hair. Besides, go for a well fitted swimming cap and avoid any direct contact between the chlorinated water and your hair. Colored hair, especially with shades of blonde are extremely prone to chlorine damage and discoloration and people often end up with mean green hair. A quick tip here would be to massage your hair with coconut oil before swimming. Coconut oil hydrates and moisturises the hair cuticle, seals the color and keeps the chlorine from affecting it. Make sure you have a thorough bath immediately after you step out of the pool to wash out any traces of chlorine off your skin and hair. Rinsing your body right after the dip keeps any chemicals from settling onto your skin and scalp. 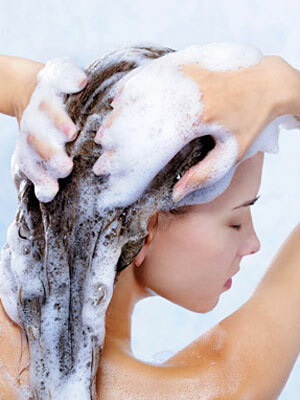 Invest in a good clarifying shampoo to get rid of any chemical residue from your hair. You could also try using apple cider vinegar as an all-natural remedy for the same. 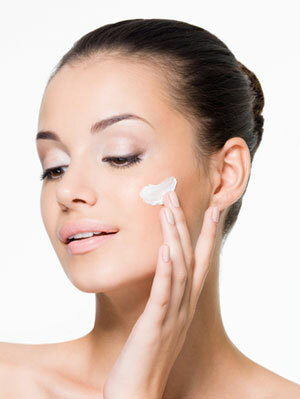 Make generous use of a moisturizer on your skin to restore damage and bring it back in shape. In case your skin has broken into a rash or allergy from the chemicals, use calamine lotion or aloe vera gel on the affected area. 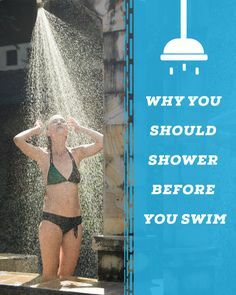 Do include the above tips to your skin and hair care regimen, especially if you’re a regular swimmer and say goodbye to any detrimental effects of swimming on your skin and hair.